預覽 8/12 RAZOR Products New Arrivals !!! 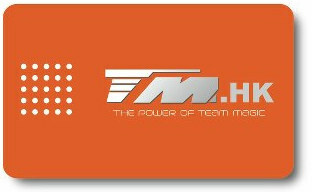 預覽 請問有無TEAM MAGIC 119225E F10 1/10遙控專用車袋 ? 預覽 請問有沒有E6II or E6III trooper??? 預覽 10/7 HARD Restock !! 預覽 1/9 Mango restock !! 預覽 26/8 ABC Hobby Shell BACK STOCK !!! 預覽 21/7 Schumacher RESTOCK !!! 預覽 14/7 K-factory arrivals !! 預覽 24/6 Mi5 Evo parts Arrivals !! 預覽 21/6 Mi5 Evo Restock !!! 預覽 Schumacher Mi5 Evo 到店!!! 預覽 20/5 Restock now !!! 預覽 17/5 Restock now !!! 預覽 15/5 Restock now !!! 預覽 Team Magic Black Magic tool in stock?? GMT+8, 2019-4-23 08:22 , Processed in 0.196723 second(s), 12 queries , Gzip On.